Detached homes are the kind of property many of us aspire to buy as our family grows and we’re looking for more space. 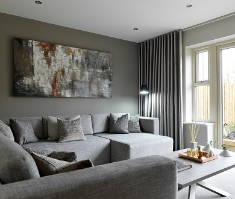 They’re often referred to as ‘forever homes’ and they’re designed to last a lifetime. That’s why we’re really excited to launch our next phase of development at Elegance in Ackworth with a collection of beautiful detached family homes. Ackworth is a great location to buy a home. The historic village is nestled between Pontefract, Barnsley and Doncaster in the borough of Wakefield. It’s just a 10-minute drive from the centre of Wakefield and in perfect commuter distance to Leeds. It has a distinctly family feel, with great schools and facilities in the area. Homes at Elegance include three and four bedroom semi-detached, and there is now the option to buy one of two detached style family homes. 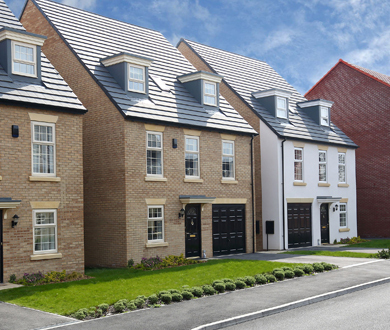 The Montreux is a contemporary four bed, designed over three floors, with an integral garage and driveway. 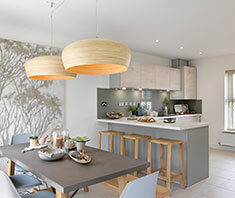 The open-plan kitchen and dining room is wide and spacious, with French doors leading to the garden. A winding staircase leads to the wow factor first floor lounge - a huge and airy space with beautiful windows flooding the room with natural light. A highlight of the Montreux is the master bedroom on the second floor. Not only is there a good-sized ensuite, there is a discreet and generous dressing area, and loft style feel to create a truly unique and idyllic retreat. The Valencia is a five bedroom detached home with enviable living space. The huge kitchen, dining and family area spans the entire back of the property. There is a utility room with integrated fridge freezer and washer dryer and separate entrance to the garden. Upstairs five bedrooms lead off an impressive central landing. 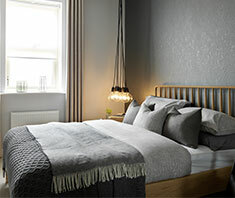 The master bedroom has two tall windows, dressing area, ensuite and fitted wardrobes. It really is a home to be proud of. For more information about Elegance, or to visit the stunning Montreux show home, contact our Customer Experience Manager. The Sales Complex is open Thursday to Monday from 10am to 5pm. Find out more about the development here.